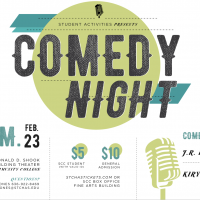 St. Charles Community College will be hosting Comedy Night, featuring J.R. De Guzman and Kiry Shabazz, at 7 p.m. Saturday, Feb. 23. 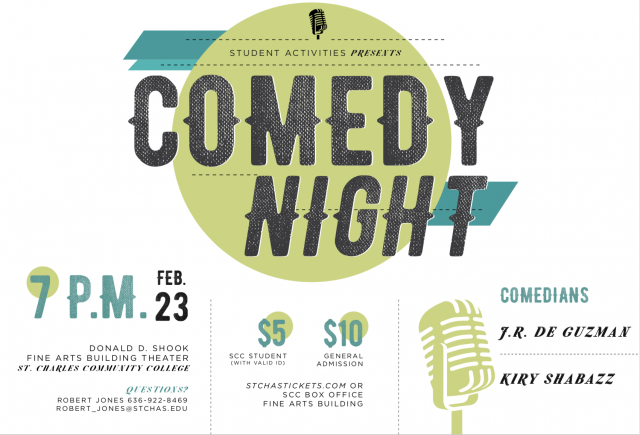 Tickets to the event can be purchased with a valid SCC student ID for $5 or for $10 for the general public. The event will be held in the Donald D. Shook Fine Arts Building theater. For more information contact Robert Jones at 636-922-8469 or Robert_jones@stchas.edu.